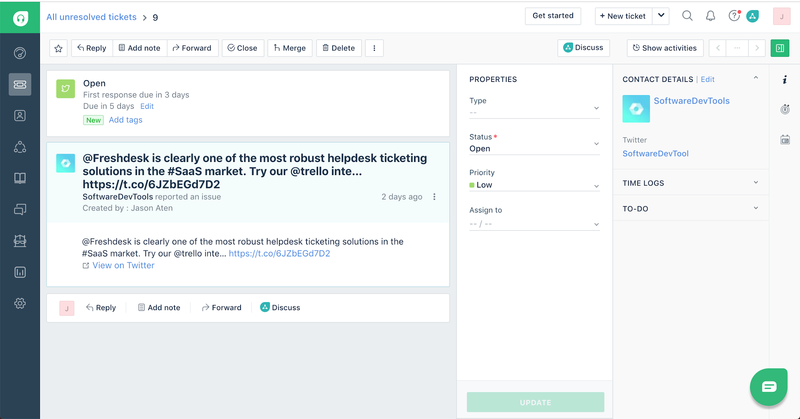 Freshdesk and Zendesk are customer help desk platforms for small businesses that feature chat, self-help knowledge base, social media monitoring, and ticket automation. Freshdesk is the top choice for businesses looking for the best overall set of features at an affordable price, while Zendesk is good for larger teams needing advanced reporting or customization. 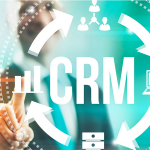 Along with your CRM software, these platforms can boost your relationship with your customers. Businesses that receive a large volume of their support requests via social media or web chat should consider Zendesk. Zendesk has a robust set of social media support features included and its chat features allow the sharing of product guides and image files with customers. It also offers deep chat integration with Google Translate, making it a great option for teams spread across the globe and those who need to collaborate within larger organizations. Freshdesk is the best tool for small businesses that want a combination of automated workflows, user-friendliness, and affordability. Freshdesk makes setting up and managing customer support across different channels (email, chat, etc.) easier by automating many of the support processes you handle on a day-to-day basis. It is especially suited for small businesses that are just getting started using help desk software. We evaluated both Freshdesk and Zendesk based on how well they help small businesses manage their customer support across multiple channels and how easy they are to set up and use. We also looked at how affordable each is for businesses with varying levels of support needs and evaluated how both Freshdesk and Zendesk help streamline the customer support process. Price/Affordability – A good software solution includes the most appropriate features at a price point that is affordable for the business. Ease of Use – Customer support software should be easy to use on a daily basis, making it more useful for a small business. 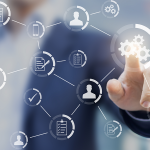 Workflow Automation – How well each solution automatically prioritizes, responds, and routes tickets to the appropriate area will determine how much time and effort it saves. Multichannel Support – How the software handles incoming support requests across various channels, including chat, email, social media, and a self-help knowledge base. Implementation/Setup – Customer support software should be easy for your business to set up and should include help in transitioning your business and training your team. We recommend Freshdesk for most small businesses because of its combination of powerful features, ease of use, and affordability. In addition, Freshdesk is known for its support and assistance getting started, making it the best choice, especially for small businesses that are transitioning their customer support from email to a help desk software solution, and for small businesses with a tight budget. Both Freshdesk and Zendesk offer very similar sets of support features at varying levels, depending on the plan you select. They both offer plans with basic help desk features as well as a full suite of integrated products that include more advanced chat, telephone and knowledge base/self-help features. One of the main differences is that Freshdesk offers a free plan including a basic set of features to get you started, while Zendesk charges a monthly per agent cost even for their most basic plan. Zendesk doesn’t offer a free plan. However, the basic plan starts at $9/month per agent ($5 if you pay annually). This plan provides a basic level of features including email support and basic reporting. More feature-rich plans are available that include advanced reporting, customization, and team management tools. The entry-level plan includes basic help desk features for $5/month per user when paid annually. It includes email ticketing, basic social media channel support, and the web support widget. It also includes the light version of Zendesk Chat, Talk (call center), and Guide (self-service). Additional levels of each of those features can be added on to each Zendesk pricing plan. The Essential plan is a good place to start for smaller businesses that need chat and call center capabilities but are on a tight budget. Both of these features are only available from Freshdesk in the higher-priced plans. This plan is $19/month per user (billed annually) and allows the customer to add custom features to support fields, additional analytics tools, and custom rules to trigger automated processes. The Team Plan also includes additional support features from Zendesk, including email support during business hours. The Team plan is a good choice for businesses that are already using Zendesk but find that their teams are growing and need additional analytics tools. This plan costs $49/month per user (billed annually) and adds multilingual support, time tracking, and Service Level Agreement (SLA) management. It also allows users to send customer satisfaction surveys and provides a more robust set of reporting and management tools to allow more control over performance monitoring. The professional plan also includes both 24-hour/5 days a week email and phone support from Zendesk. The Professional Plan is designed for larger support teams that provide support across different countries as well as businesses that provide contracted support according to Service Level Agreements. 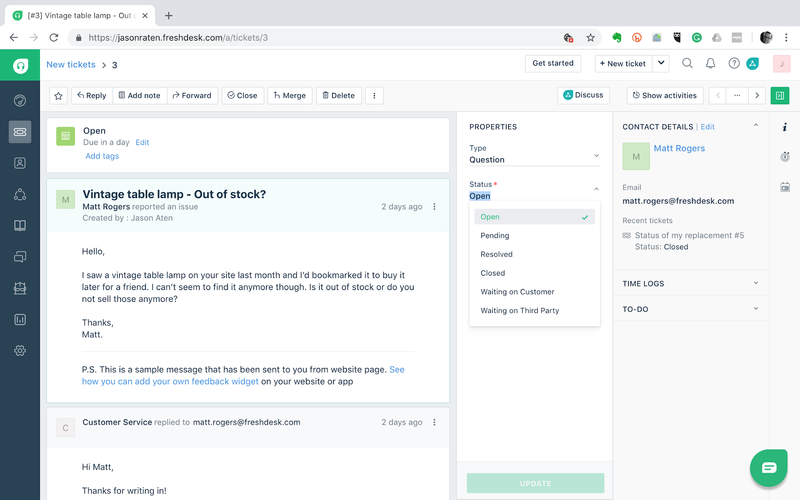 It also works well for businesses, especially ecommerce companies that are already using Zendesk and want to get customer feedback about their support experience through customer satisfaction surveys. Freshdesk has a free plan that includes unlimited agents and offers many of the base level support features. More full-featured plans are available, ranging from $19/month to $89/month per agent when paid annually. Modules such as call center integration, chat, and social media integration are available as add-ons for an additional fee. This is the free plan that includes the basic help desk features and unlimited agents. 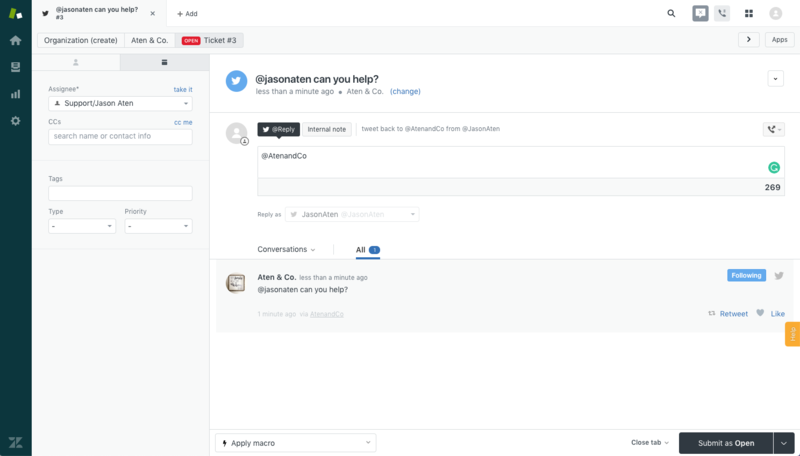 It includes email ticketing, basic social media channel support, integration with their Freshchat and Freshcaller services (for an additional fee), the knowledge base, and team collaboration features. This plan is designed to allow customers to submit support requests either through contact forms or via a support email address, which then creates support tickets within Freshdesk. At the basic level, businesses are able to add on chat and telephone call center options, both of which are available through FreshWorks, the company that makes Freshdesk. This plan is perfect for small businesses that currently handle most of their customer support through email but are hoping to transition to a help desk solution. It’s also ideal for entrepreneurs and small business owners who need a basic solution on a tight budget, as it offers the email support channel and knowledge base that are ideal for encouraging customers to find their own best solution before engaging with the support team. This is the entry-level paid plan and costs $19/month. In addition to the features in the Sprout level, it adds time tracking, the advanced social media channel, and customer satisfaction surveys. For most customers, the advanced social media channel will be the most significant upgrade. However, this level also allows the integration of more than one social media channel and includes social signals, which help you to keep tabs on how your brand is being mentioned. The Blossom Plan is a good choice for small businesses that have a growing support team and want to add the ability to measure the time performance of their support agents. It is also a good entry point for businesses that have an active social media presence and want a way to better monitor brand mentions on their social media channels for customer support purposes. This plan adds multilingual support within the help desk software, community forums, and ticket templates as well as the ability to schedule reports and customize the CSS of the help desk pages. The multilingual help desk feature is powered by Google Translate and allows agents to view and handle tickets that may have been created in a language other than their own. 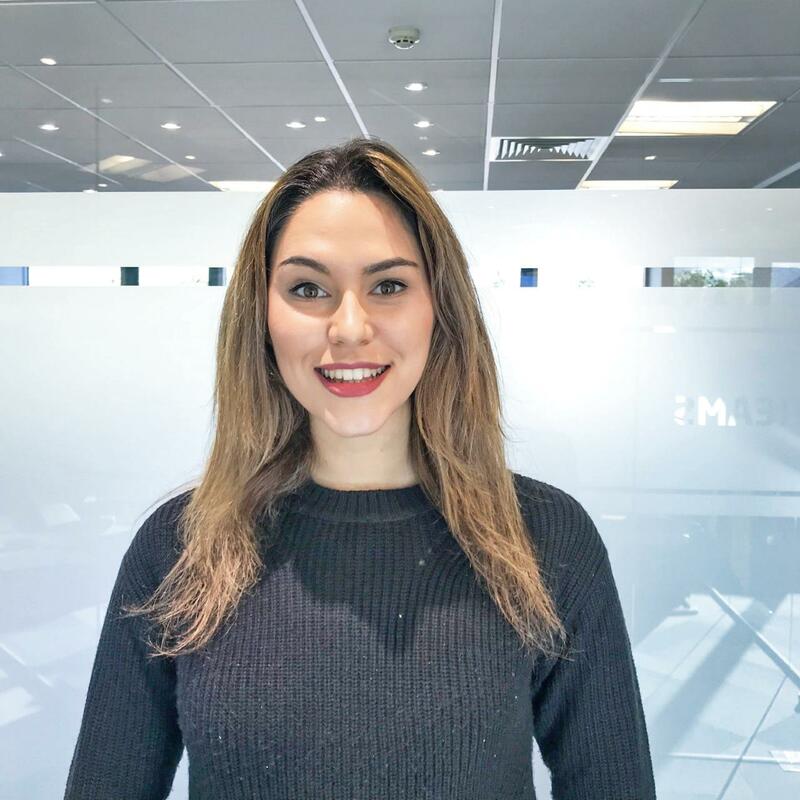 This service plan is ideal for growing businesses that deal with international customers and need to provide support to customers who may not speak the same language as your support team. This makes it especially ideal for smaller online retailers who ship products to customers in other countries. The reporting features are ideal for users who want to be able to have reports automatically generated and sent to their email on a scheduled basis. This plan adds advanced-level reporting, as well as agent collision and custom agent roles. These features help to streamline the process of assigning and managing tickets. Agent collision makes sure that two separate agents aren’t both working to resolve an issue at the same time, preventing duplicate efforts and the possibility of conflicting responses to customers. The Estate plan is geared towards larger businesses that have multiple levels of customer service management and that want to be able to fine-tune how tickets are handled. It’s ideal for large support teams with multiple levels of customer service management like software or service industry customers. This plan is also the choice for businesses that receive large volumes of support tickets, like larger ecommerce vendors. Freshdesk and Zendesk both offer the ability to monitor and engage with customers on social media to help resolve support requests. The social media tools available depends on the service plan chosen, with Zendesk providing an overall, more robust set of features for managing support through social media channels. 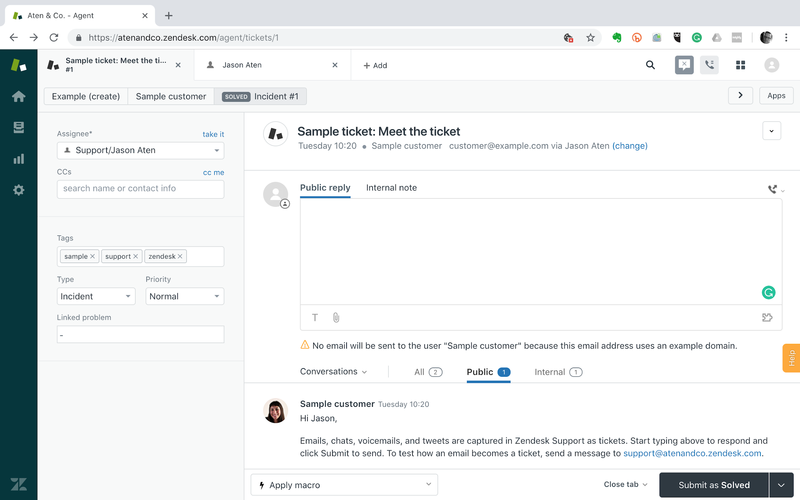 Zendesk monitors your social media channels and automatically converts incoming messages into tickets that can be handled by agents in the support desk. When agents respond, the reply is sent via the social media channel and the ticket updates within the support desk. Zendesk’s social tool allows agents to respond to customer complaints or issues quickly, hopefully resolving issues before they become bigger problems. Freshdesk’s social media support channel allows businesses the opportunity to engage with their customers in the same place they start the conversation (Facebook or Twitter). Since many customers interact with companies through social media, the ability to monitor, engage and interact with customers where they are can help resolve many support issues. 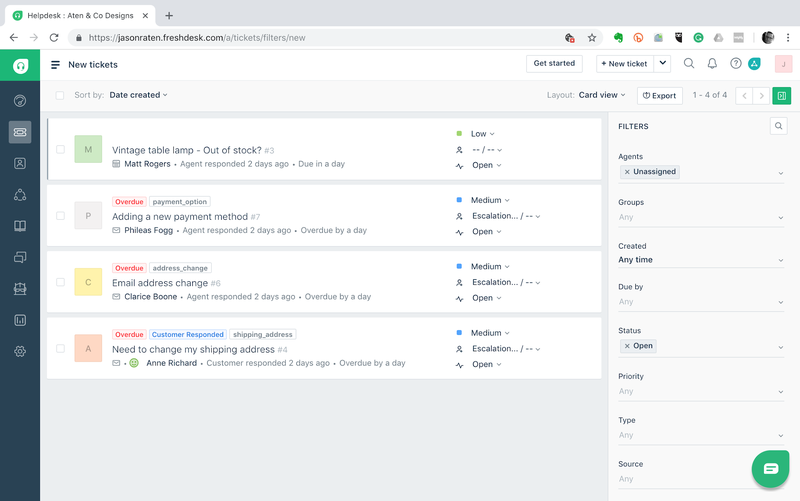 Freshdesk allows agents to monitor social media channels and initiate tickets based on social media posts while responding back within the same channel. For smaller businesses that receive a lot of support inquiries through social media, this plan can help you manage the conversations that require your attention and turn them into support tickets. Freshdesk and Zendesk both provide the ability for agents to assist customers needing support, even when they are located in a different country or speak a different language. While both take advantage of Google Translate to provide language support, they offer different levels of integration, with Zendesk providing real-time chat translation and Freshdesk providing a more global page translation. In addition to offering translation for both customers and agents, Zendesk also supports Google Translate for real-time translation of the chat feature. This allows agents and customers to chat in their native language while the user on the other end of the chat may view responses in their own language. This is especially helpful for businesses with customers outside their own country or who speak different languages. Freshdesk uses Google Translate to let your support agents view the support portal in any language they choose. Freshdesk also allows you to install the Google Translate app on your customer portal to allow customers to view your knowledge base and other support features in their own language. Both Freshdesk and Zendesk give you the ability to control the permissions and access of your support team. 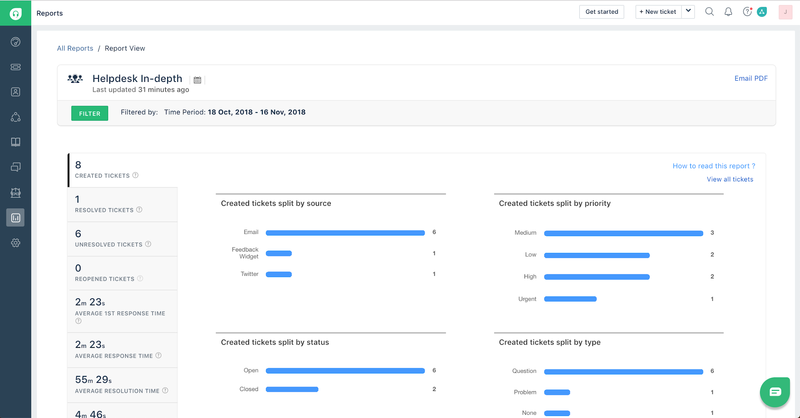 You can assign different roles to individuals based on whether they are an agent or manager, and control how they interact with customer tickets. You can also automatically assign tickets based on the type of customer problem and the skills or expertise of the agents. Zendesk does include custom roles, including advanced permissions, but it is only available in the Enterprise level. In the lower level plans, you assign someone as an agent or administrator when you create the agent account and users will only see the parts of the portal allowed based on their permissions. You can assign agents to groups and teams based on the types of tickets they handle, making it easy to distribute support requests to the right agent. Freshdesk includes custom agent roles, allowing you to define the level of permissions depending on that agent’s role (e.g., agent, manager, escalations) to handle specific tickets. In addition, dedicated agents who handle specific areas of support (e.g., shipping versus billing issues) can be assigned support requests in Freshdesk based on their specific skill area. Both Zendesk and Freshdesk are highly customizable and are flexible enough to handle just about any company’s support needs. Where Zendesk has some advanced features that allow a higher level of customization, Freshdesk features advanced automation and workflows built in that make it easier to use out of the box. Freshdesk also features a more intuitive interface that many users find easier to navigate and get work done. A CRM is more powerful when matched with any of these help desk platforms. 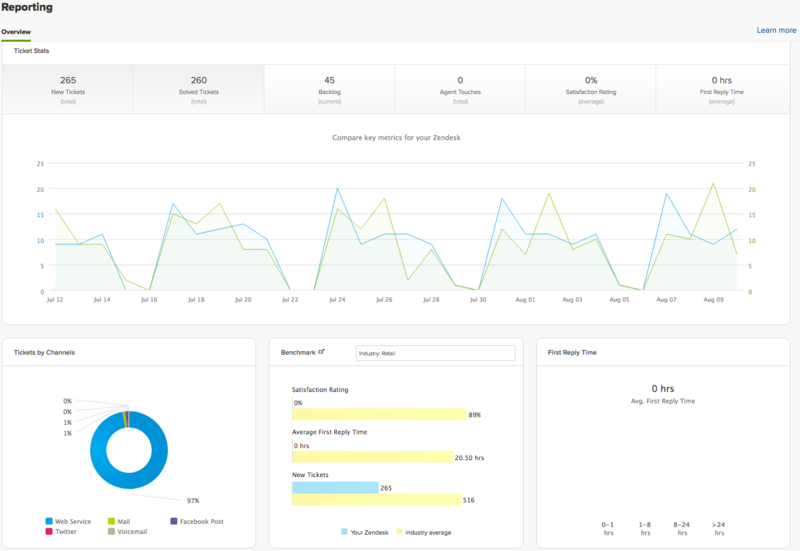 Zendesk gives you reporting tools to measure the overall performance of your support team, as well as monitor how individual agents are performing. You can establish key metrics, establish service level agreements, and measure your support team against the criteria you set. You can easily view the number of new tickets, solved tickets, satisfaction rating, and the amount of time that it takes to first address a ticket. Freshdesk gives you agent and team performance reporting capabilities in every plan. The higher plans also give you access to time tracking, satisfaction surveys, trends, and customer analysis. It also gives you the option to create custom reports based on filters and automatically runs and sends reports based on the schedule you set. Both Zendesk and Freshdesk are highly customizable and are flexible enough to handle just about any company’s support needs. Where Zendesk has some advanced features that allow a higher level of customization, Freshdesk features advanced automation and workflows built in that make it easier to use out of the box. Freshdesk also features a more intuitive interface that many users find easier to navigate and get work done. Zendesk uses a clean interface, using a sidebar with icons for navigation. Zendesk condenses many of the features into four main navigation areas, including Home, Tickets, Reporting, and Admin. Zendesk also features tabbed navigation that allows for quick transitioning between areas without navigating away from your current work. For some users, however, tabbed browsing can cause confusion when switching between multiple tabs at once. Because of its highly intuitive user interface and workflow automation, Freshdesk is very easy to use, even for users who are new to help desk software. Freshdesk makes managing support tickets easy by automating the workflow and by providing scripted responses to common issues. Freshdesk places the main navigation areas in a sidebar, using icons to represent the various areas that agents use on a regular basis. The clean interface makes finding your way around easy. Users are able to quickly find information about customers and take action on tickets through simple drop-down menus without having to navigate through multiple screens. Since Freshdesk and Zendesk are both customer support software services, it makes sense that they both offer top-notch support to their own customers. Both receive high reviews from customers, but Freshdesk seems to win over customers’ hearts by going above and beyond, especially when setting up new customer accounts. Zendesk features a robust self-help knowledge base for their customers, but only customers on the higher-priced plans receive email or phone support. This can be a challenge for small businesses just starting out or transitioning from another help desk solution. Phone support only becomes available to customers on the Professional Plan. One of the areas where Freshdesk truly sets itself apart as a top choice for small businesses is in how they support their own customers. Freshdesk is known for providing extra help to their customers, especially as they get set up or transition from another service. They also feature a robust knowledge base and training to make sure your team is as prepared and as effective as possible as you interact with your own customers needing support. Zendesk and Freshdesk are both popular choices and well-liked among their customers. Both receive overall positive reviews, especially for the features that help businesses efficiently manage their customer support process. Users definitely have opinions about how both solutions provide their own customer support, and there are varying views about the service plans and pricing. Zendesk customers comment that they like the robust set of features and the integrations with other services. 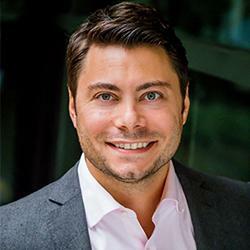 Customers did not like that Zendesk offers limited support unless you are on a higher-priced plan, and they felt that Zendesk can be overwhelming to set up as a small business. You can check out what other customers are saying on our Zendesk Review Page. Freshdesk largely receives positive reviews. Customers love how easy it is to set up and use, as well as the level of support Freshdesk provides to their customers. 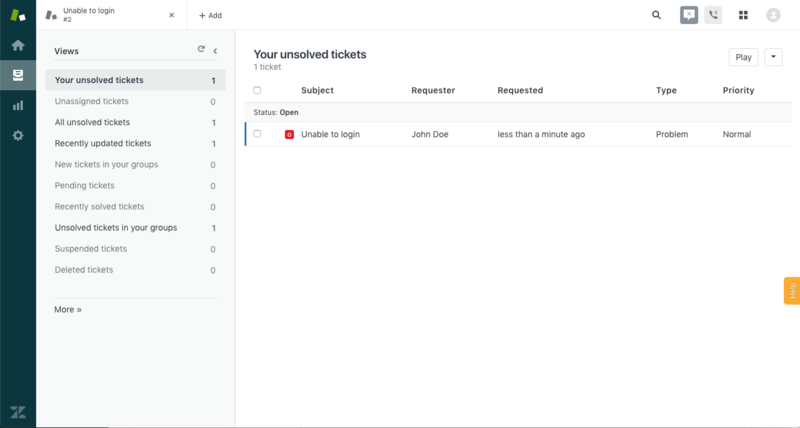 Users like that as their customers submit support requests, Freshdesk automatically suggests solutions, reducing the number of tickets that need to be handled by agents. You can read more customer reviews on our Freshdesk Review Page. For most small businesses, Freshdesk is the best all-around affordable solution. While Zendesk is certainly a leader in the industry, for most small businesses, the features included in Freshdesk, as well as the overall ease of use, make it a better choice for handling your customer support needs. Consider Freshdesk if you’re looking for an affordable, easy to use help desk software service. In addition to their free Sprout plan, they also offer a 21-day free trial for their higher service plans. Hi Clint, I know that dealing with extensive amounts of spam tickets would be something that would frustrate anyone. I also know that Freshdesk does allow you to enable Captcha on your portal submission forms, which would eliminate bot spam. One nice thing about this is that if your customers are already in your Freshdesk database, it will automatically turn off the Captcha, allowing them to bypass that step. I know that doesn’t solve the problem for every user, and it sounds like you made a choice that was best for your business based on your experience and your businesses needs. I appreciate you sharing your feedback with our readers.